2015 has proven to be one of the biggest years yet in celebrity baby land with so many adorable little ones entering the realms of LaLa Land. And many of the glowing mums-to-be turned to social media last year to showcase their beautiful growing bellies. Here are some of our favourite baby bumps from stars who became mums in 2015. Shakira welcomed her second son, Sasha in January and this beautiful shot, taken in celebration of World Baby Shower, is elegant and classy, just like the stunning mum. 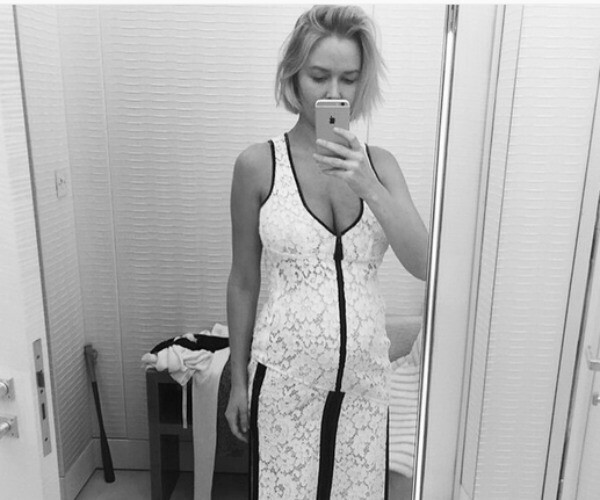 Lara Bingle Worthington managed to keep her pregnancy under wraps from social media until the arrival of her baby boy, Rocket Zot, in March. And while the entire world was well aware she was expecting, it wasn’t until after Rocket’s birth that she brought out the classic pregnancy poses. Model Molly Sims welcomed her daughter, Scarlett May, in March. If you’re a fan of celebrity Instagram accounts, then Molly’s is a great one to follow for daily snaps of her adorable children, Scarlett and big brother Brooks. The world went a little bit nuts when Justin Timberlake posted this picture of his wife Jessica Biel’s growing belly. We were definitely excited to hear about the impending arrival of baby Silas Randall, who made his entrance into the world in April. Milla looked absolutely stunning draped in white as she posed heavily pregnant with her second daughter, Dashiel Edan. Milla and her husband, Paul W.S. Anderson welcomed Dashiel in April last year. Jaime King is never one to shy away from the social media spotlight – and why not? 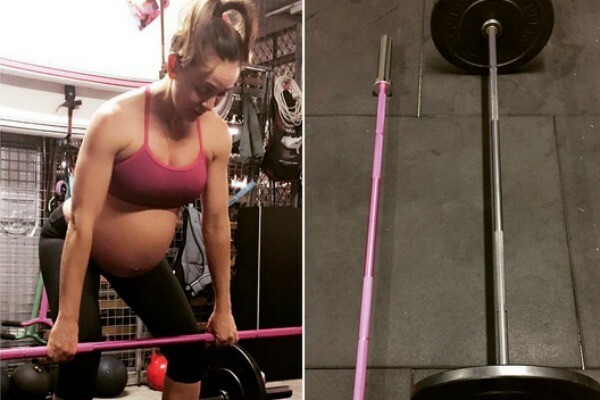 Jaime showcased her growing baby belly before giving birth to her second son, Leo, in April. 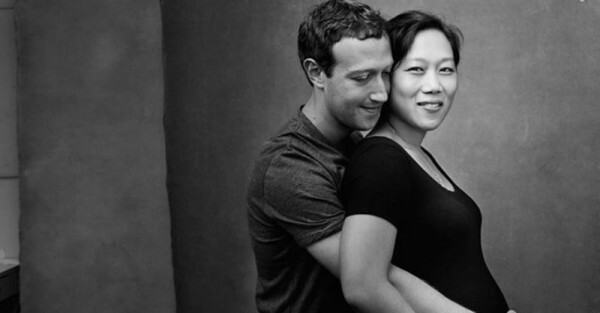 Mark Zuckerburg surprised the world when he not only announced he was expecting a baby with wife, Priscilla Chan, but also made it public that the couple had suffered several miscarriages in the past. The proud father to baby daughter Max has been busy snapping shots of his newborn daughter, born in early December, and promising to donate billions of dollars to help families in need. The arrival of Kim Kardashian West’s second child, Saint West, was never going to be a private affair and neither was the pregnancy. We especially like this shot of Kim in her ninth month – it captures the reality of pregnancy to perfection. No makeup. No tight clothes. Just a belly and a glowing mumma-to-be. 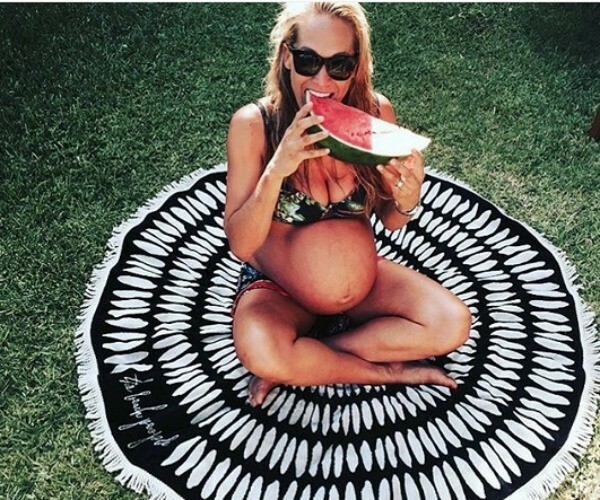 Home and Away star Erika Heynatz glowed during her pregnancy and we just love this shot of her enjoying the summer days before baby Charlie Kingston arrived. Erika and her partner, Andrew Kingston, welcomed Charlie, their first child, in December. Michelle and Steve “The Commando” Willis welcomed their little man, Axel, just a couple of weeks ago but it is clear from her instagram photos that baby Axel was happy to take part in a number of workouts up until he made his grand appearance into the world. Looking amazing, as always, Michelle! Make sure you also check out our round-up of celebrity babies born in 2015 for extreme celebrity cuteness. You may be surprised by how many celebrities welcomed little ones this year!